Carrier furnace feeders and blast charge feeders provide a safer and more precise loading option for blast and melt deck applications. Our heavy-duty design allows for 24/7, year-round operation with minimal maintenance. All of our furnace feeders and blast charge feeding equipment is custom engineered to fit your exact needs. Carrier furnace charge feeders can be designed to feed your Cupola or Induction furnace. Our furnace feeders can provide precise metered flow for increased efficiency as well as general overall safety. Carrier can design for large and small capacity furnaces as well as provide low maintenance equipment. Carrier blast feeding systems can pay for themselves by automating your system and reducing your manpower. 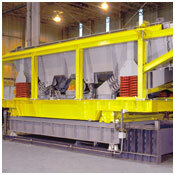 The blast feeders can be mounted on trolleys to feed multiple blast machines and to accommodate for layout restraints. Other options such as flop gates, load cells, and double indexing can be accommodated as well. 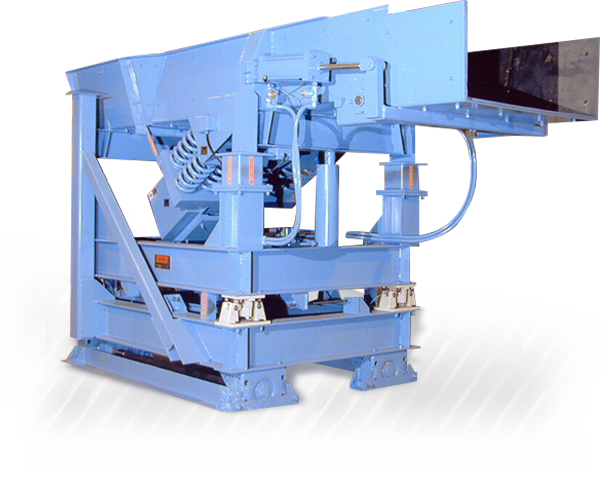 Carrier’s design has proven to be the heaviest in the industry reducing your maintenance and downtime. All equipment is custom engineered to fit your exact needs!